The MJOLNIR Powered Assault Armor/C variant, colloquially known as the Close Quarters Battle (CQB) armor, is a variant of the MJOLNIR Powered Assault Armor manufactured by Beweglichkeitsrüstungsysteme. The CQB variant specializes in the improvement of survivability in close quarters engagements, this was done in the dispersal of kinetic energy, by looking at alternate methods to disperse the kinetic energy versus momentum transferred by a Spartan during combat. In addition the CQB's armor components are designed to optimize joint mobility in close quarters, and have an improved field of view. Although CQB surpasses CQC in overall integration, the variant's ability to allow ad hoc modifications is limited in comparison. As early as 2525 developmental Mjolnir permutations utilized physical architecture that would eventually be used for CQB. Samuel-034 used such a variant during the Battle of Chi Ceti and Daisy-023 used a similar variant. When evaluating different opportunities to improve MJOLNIR across an assortment of engagement types, German-based Beweglichkeitsrüstungsysteme proposed two distinctive variants CQC and CQB with one focus. Using data gathered from the UNSC's campaign on Jericho VII, that focus was to further improve the survivability in close quarter engagements. Field-tested at the Special Warfare Center Essen, in Deutschland, and integrating feedback gathered from the Special Warfare Center Seongnam, in Korea, CQB was ultimately launched as a successor to CQC on the Mark V platform. Its advances were eventually incorporated into the Mark VI series. The CQB armor was used successfully throughout 2552. 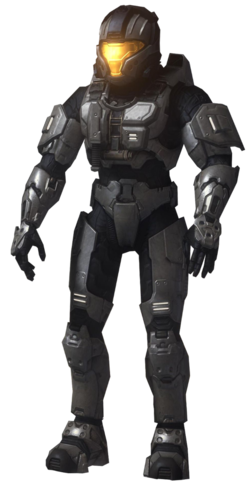 As late as 2558, the GEN1 CQB helmet could be requisitioned by Spartans for use with their GEN2 Mjolnir suits. Description: The Mjolnir/C variant was developed and tested at UNSC facilities in Essen, Deutschland, and Songnam, Hanguk, respectively, integrating feedback gathered from the Jericho VII Theater. Description: Developed at Beweglichrüstungsysteme of Essen and tested at the Special Warfare Center in Songnam, the Mjolnir/C variant focuses on improving combat survivability and mobility. Description: The intent with the Mjolnir Mark VI Powered Assault Armor/C variant was to improve survivability in close combat, specifically by looking at alternative methods of K dispersal and improving joint mobility. Base Requirements: Waypoint Career Milestone 20 and Folks Need Heroes... achievement. Description: Developed at Beweglichrüstungsysteme and tested at the UNSC's Special Warfare Center. HU/RS/CNM Requirements: Waypoint Career Milestone 25 + Campaign Complete: Heroic(Halo 3: ODST) achievement + CQB: Base. Description: Hardened uplink/remote sensor package with command network module. Description: Up-armored variant with hardened uplink module for MILINT acquisition. Helmet Description: Beweglichrüstungsysteme houses the results of its decades-long work with reaction enhancers and predictive movement algorithms in the protective armored shell of battle-tested CQB helmets. According to a survey taken by Bungie around 14 March 2008, the CQB chest was one of the most used Spartan chest plates in Halo 3, and the helmet was the fourth most used. 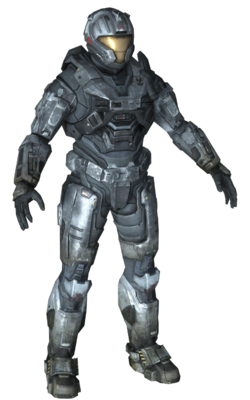 Concept art for the CQB variant for Halo 3. CQB in the Halo 3 Beta. Render of a Spartan-II in orange Mark VI CQB armor. Render of CQB holding a M41 SPNKR. MJOLNIR Mark VI CQB variant. Close-up of the CQB Mark VI variant in Halo 3. Overview of the Mark VI [C] variant. Daisy-023 in her armor that looks similar to CQB armor in Halo Legends: Homecoming. Concept art of the CQB helmet for Halo: Reach. Overview of the CQB helmet on the Mark V armor. Mark V CQB helmet reference. Reference of the Mark V CQB helmet attachments. Samuel-034 wearing CQB-like Mjolnir Mark IV in Halo: The Fall of Reach - The Animated Series. Close up of the CQB-like Mark IV armor. Models of the CQB helmet for Halo 5: Guardians. A Spartan-IV wearing GEN2 CQB. CQB in comparison to DYNAST-class Mjolnir, its post-war replacement.